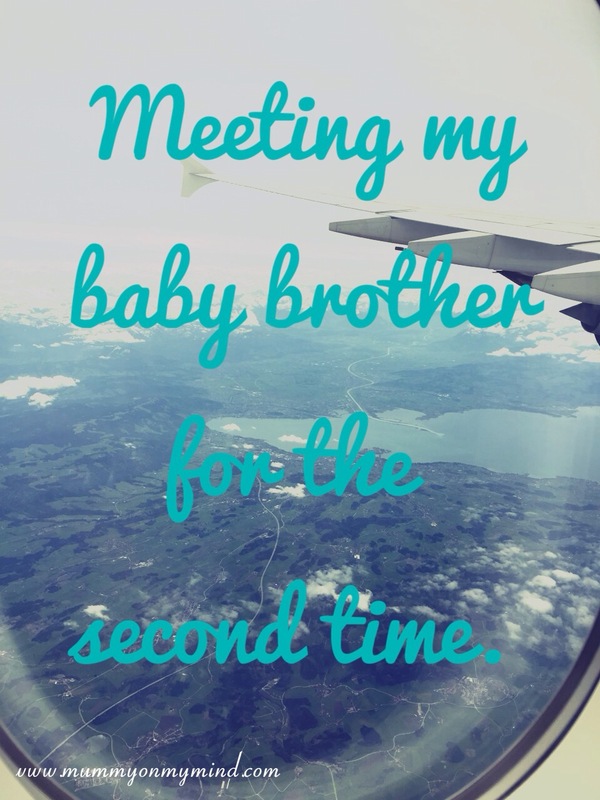 Meeting my baby brother for the second time. As I type this, my baby brother, Mr A, is currently on his way to join us in Dubai for his two month summer vacation, and I am SO EXCITED! Well, when I say baby brother, you should probably know that he is in his mid teens and has started to grow facial hair. However, since he is the youngest sibling amongst three, he will always be regarded as the “baby”, even when he has grey hair and uses a walking stick. Baby Bro, Meet Baby Z … Baby Z, meet Baby Bro. Anyway, I digress! My main point of writing this post is to share my excitement. You see it’s not only because Mr A is coming to Dubai to spend time with me and my family, but more importantly, he will be spending time with Baby Z. Mr A had met Baby Z when he was only 3 months old for the first time, for a very short duration, and this is the second time that they will be meeting. Though the first time was just as fantastic, I just know that this time its going to be even more special. This is because Baby Z is now a year old and SO active! He walks, runs, listens, babbles and causes mischief. Baby Z is like an electric ball of energy, and I can not wait to see how Mr A deals with that! Ha! Mr A makes such a great Uncle thanks to his infectious energy and positive attitude. He and I also share a love of sarcasm and quirky jokes, although we had been known to fight like bulls before I got married and whisked away to Dubai. I am curious to know which of Mr A’s traits rub off on Baby Z, and what antics will I regret encouraging once Mr A leaves for England after his vacation. I am sure Baby Z will also keep Mr A rather entertained with all his monkey business! Of course, aside from all those sentimental emotions, I am also looking forward to letting Mr A babysit Baby Z and having some precious moments of peace! This summer is going to be a great one, I can just feel it in my bones! Thank you, I will do! Your blog looks good, welcome to the blogging world and Ramadan Mubarak! Yes I agree! Baby Z is already trying to get my brothers attention. Haha! That’s so exciting! My baby sister (now in her 20s, but still a decade younger than me) also lives on a different continent from me and therefore only gets to see my littles infrequently. What was a complete shock to me was how well my girls got along with my baby cousin, who is closer to 20 years younger than me. For a college-aged young man, he had an extraordinary amount of patience in teaching my daughters all about circuitry! Thanks for linking with #TwinklyTuesday. Enjoy your family time! Aw that’s so lovely! It really is fascinating to see how the relationship blossoms between your loved ones, isn’t it!